Caregivers typically help family members or someone in the home who needs assistance on a regular basis. Spanning from daily to weekly services, carers are often related to the cared for person, usually they are adult children (and sadly sometimes minors too) who are now taking care of senior parents. Being a caregiver is physically and emotionally demanding, with many adult children feeling forced into a corner leading to feelings of guilt and frustration. Over time, the stress can grow and negatively impact the experience for the carer, as well as the person receiving the care. Caregiver stress – or caregiver syndrome – is caused by an overwhelming sense of duty to care for an ill or aging person. It’s a direct result of an increased levelo of the stress hormone over an extended period. 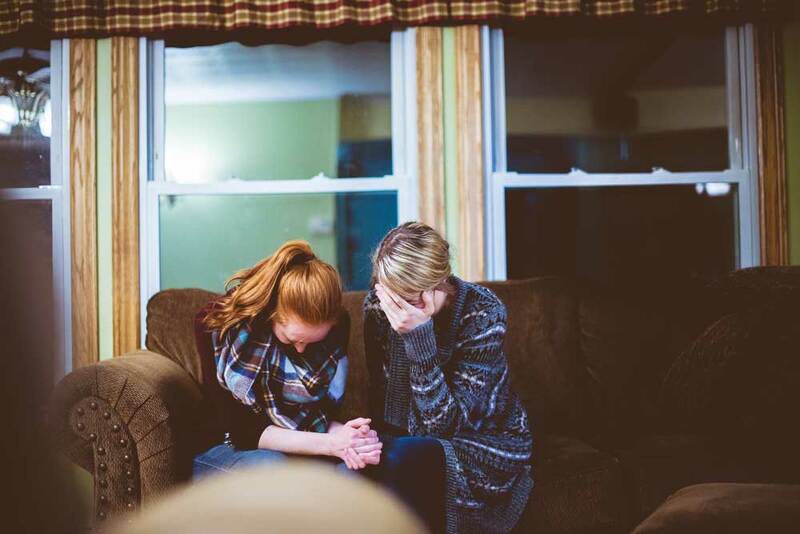 Risk groups known to experience this sort of stress tend to be adult children or double duty caregivers who work in the healthcare field as a profession and are in a scenario where they are obligated to extend their services to loved ones at home. In these scenarios, the carers are being spread too thin, and start to feel like the task is too large for them to manage by themselves. Depression. Depression involves feelings of severe self-doubt in one’s ability to take care of an ailing person. Depressive episodes can be a common occurrence for family members who suddenly are obligated to care of a family member. Medical professionals who it is assumed are able to take the brunt of the emotional demands also experience high grades of anxiety and depression when in a caring role. Anxiety and panic attacks. Feeling anxious is natural, but depending on how it is managed, it can consume one’s interpersonal life and may even result in the occurrence of panic attacks. This will undoubtedly affect the way that a caregiver is able to interact with the recipient of care. Extended anxiety can develop into manic episodes where one can feel unusually irritable and moody for prolonged periods of time. Feelings of anger. This is a common emotion for carers. The anger may manifest itself as yelling and having difficulty controlling one’s temper. Feelings of resentment can stem from anger, as carers may feel like they are sacrificing their own autonomy for someone else. It is worth noting that this selflessness is also something that can bring about positive feelings from caring. A constant feeling of guilt. During care giving, a sense of guilt can be persistent. Carers can feel guilt from not spending enough time with their own families, not tending to their personal needs, or having negative thoughts. Coupled with anger, guilt can evolve into feelings of bitterness. Research from Ohio State University and the National Institute on Aging has shown that long-term stress related to care giving can damage your genetics. The results from an almost 30 year-long study show that there is a link between psychological stress and a weakened immune system. Frustratingly enough, the impact also influences mothers caring for chronically ill children, with that same stress altering chromosomes that equate to several years of aging. This risk group also had less concentration of a particular white blood cell called lymphocyte. The long-term effects of untethered stress can fundamentally weaken your immune system and reduce life expectancy. How Can Caregivers Prevent Panic and Anxiety? Internet-based intervention. There is a record share of UK inhabitants who have access to the Internet. About 87 percent or 45.9 million adults have had access to the Internet in the past three months, emphasising the value of Internet-based intervention for caregivers who are dealing with stress. A study using eight open-label trials has shown a trend in reducing aspects of caregiver stress with online tools, with seven out of the eight trials showing positive and partially positive benefits in its ability to reduce stress. Many of the types of Internet-based intervention comes in the form of guided self-help programs or applications like Mastery of Dementia, a program developed for informal caregivers of people who have dementia. It consists of eight lessons, with quizzes and ‘homework’ for the caregiver. This allows caregivers to equip themselves with the information that they need to tackle issues that may present itself when caring for a chronically ill family member. Practice mindfulness. A mindfulness-based stress reduction program is a highly versatile approach for adult children or carers who are actively dealing with caregiver stress. An MBSR program uses a community-based approach, connecting those who are dealing with the situation of unexpected care demands. Similar programs have shown a significant reduction in perceived stress in about 33 percent of participants, with about a fifth experiencing a reduction in stress for parents who are taking care of ill children. Take note that you do not have to deal with the situation by yourself. Always reach out to your doctor if you are struggling, and also consider contacting a local charity such as ourselves who have many services which may be of use such as our Family Carers Centre, Care and Respite, Lifeline, and Mops and Shops. Hiring outside help in the form of professional caregivers can also help to streamline care, reducing stress and workload. Utilising other family members, adult day care programs, and community transportation systems can help alleviate some of the responsibilities, allowing more space for self-care. Being self-care aware is important.